I’ve been thinking about trying to start Pilates for a couple of years, and finally took the plunge late last year. 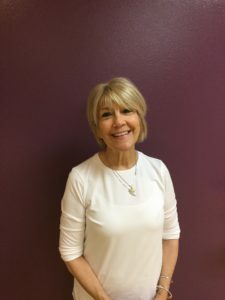 I’ve had some chronic shoulder problems in the past, including a frozen shoulder, and had tried Neural Reset Therapy with Sara See, which is what got me in the door of Rivercity. I’ve practiced Yoga off and on for years, and wanted to get back into the habit of this type of movement. As I age I’m starting to realize more and more how important strength and stretching are to feeling good. I have mostly been doing mat classes, but have also enjoyed Equipment classes and a few Pilates Mat and Barre classes. I love the variety. I have also been taking advantage of Rivercity’s online presence and trying to do some of the YouTube videos at home a few days per week. I’ve been trying to follow along with March MATness, and find myself randomly just doing small Pilates-inspired movement as I make dinner or sit at my desk at work. I feel like I’m using my muscles more as they are meant to be used. I’m more aware of my core muscles and my posture, and I am finding muscles I didn’t realize I had. I have more energy and it just seems to motivate me to be more active – doing the Pilates workouts does not register as exercise on my Apple Watch, but I feel like other activity is much more likely to register on days when I have done Pilates (like when I walk, I’m doing it with more energy and it counts!). Finally, I find it to be a mental enough practice that it is a mind break. Paying attention to so many details of what my body is doing forces me into mindfulness. Two exercises that always make me smile are Seal and Helicopter. With Seal I think it’s just the silliness, and Helicopter really gets my hips. Anything that is a good shoulder stretch I also love. Open Leg Rocker is my nemesis so far, but I’m hoping that our relationship will evolve. I would encourage anyone to try. It is so customizable and not as intimidating as it might seem. 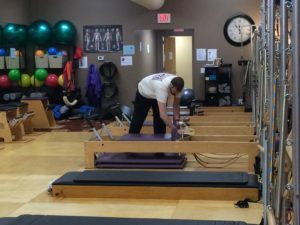 Part of the beauty is how personalized a Pilates practice is – it grows with you and I’ve already started to discover details and layers I wasn’t aware of when I first started. The staff at Rivercity Pilates truly make it fun. It is a wonderfully welcoming and encouraging environment filled with people of all different ages and fitness levels. What do you like about taking the early morning classes? I love getting to the studio before I really have a chance to think about it. I love how it gently warms up and wakes up my body for the day. It is also a great way for me to fit it in before the other demands of the day have a chance at me. All the reasons that so many people LOVE their Pilates workout, are also all the reasons that so many Pilates virgins are skeptical that this lovable method of exercise could actually be effective! It’s true that a Pilates workout does not leave your body feeling the same as it might after a long run, an aerobics class or even a weight training session, but don’t let that trick you into thinking that it’s not effective “real” exercise. Strengthen Your Muscles Pilates exercises are designed to strengthen all the muscles in your body if they need it. One of the goals of the Pilates method is to uniformly develop your body. This means that by practicing the exercises you will develop strength in your muscles in a way that balances your body out. I often describe this simply as strengthening the weak muscles and stretching the tight muscles so that your body functions more efficiently and you are less prone to injuries caused from imbalances. Gain Flexibility When you strengthen the weak muscles in your Pilates exercises, you will simultaneously stretch and lengthen the muscles that are chronically tight in your body. This means you will gain flexibility and mobility in your body without having to spend hours simply holding stretches. Gain Mobility in Your Spine By doing exercises that move your body in a variety of ways that you might not do a lot in your everyday life, you will feel more mobile and less stiff in your back and throughout your entire body. Increased Circulation Pilates uses whole body movements and focused breathing techniques that will increase circulation throughout your body. Blood circulation is what keeps our bodies functioning and increased circulation can promote healthier skin, promote cell growth and just plain help you feel better and more energized. Physical Activity that increases your heart rate Our bodies were designed to move! Pilates classes and sessions are designed to have you moving throughout. You may not get your heart rate up as much as you would for a run, but your heart rate will increase and you will be active throughout your session. Decrease feelings of stress and anxiety Physical activity like Pilates produces endorphins—chemicals in the brain that act as natural painkillers—and also improve the ability to sleep, which in turn reduces stress. Studies show that physical activity is very effective at reducing fatigue, improving alertness and concentration, and at enhancing overall cognitive function. If you are used to traditional exercise methods that leave you feeling the burn, exhausted and out of breath, and maybe so sore the next day it’s hard to sit, then learning Pilates will definitely be a change. Just because it feels different though doesn’t mean it isn’t effective! 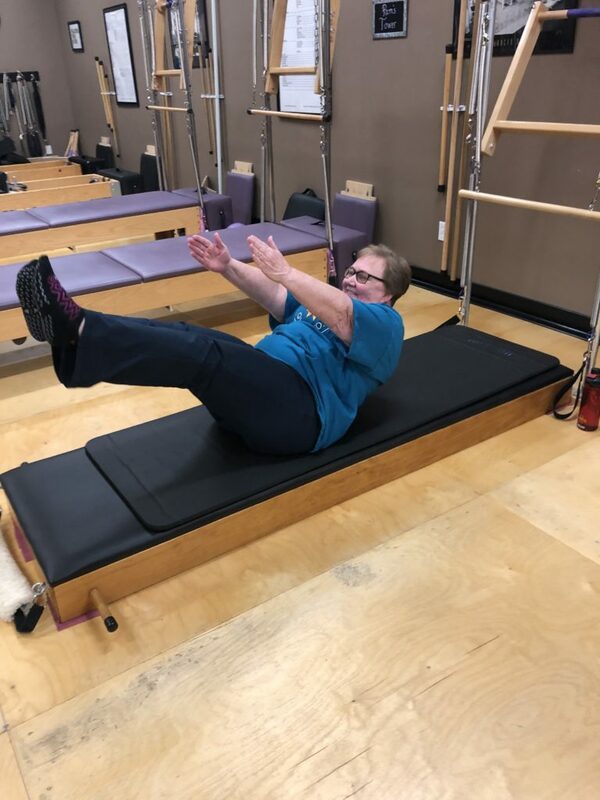 The Pilates method is versatile enough to be an effective exercise method for professional athletes and adaptive enough to be a favorite method for practitioners in their 60’s and beyond. If you are curious about what it could do for your body and your life, we would love to introduce you to it! 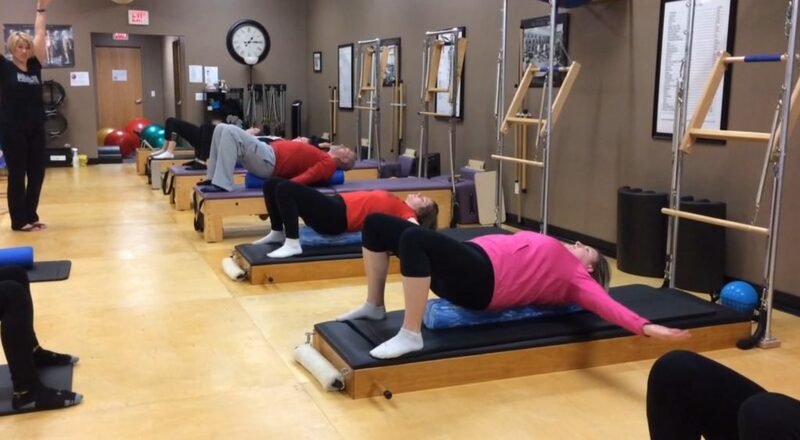 Click here to schedule a complimentary session with one of our trained Pilates professionals. Let me begin by telling you that I was never very confident. Nope. Not me! As a young girl, I felt contented and enjoyed my life very much, but somewhere amidst those years of growing up, I lost confidence. Totally! :/ Perhaps it was because I grew up in the 60’s?!? It was a turbulent time. I just wanted to be a wife and mother but suddenly women were demanding to be liberated, burning their bras, and deciding which career to pursue! It was very confusing for me because I had to write notes just to remind myself to wear a bra on gym days so the Senior girls wouldn’t laugh at me. (Bra-burning was something I would never consider!) All I really wanted in those days was to be rail-thin (just like Twiggy! ), to have perfect hair (long, dark, and straight), and to have a boyfriend. Well, I was thin, and even had the perfect hair, yet never seemed to have the boyfriend. Most girls I know from “back then” dated someone in high school, got married, raised families and rocked grandchildren, and are now celebrating 40+ years of marriage. Not me though! Looking back, I just don’t think I knew myself very well. I married an older man and divorced after just ten years of marriage (and one great son). 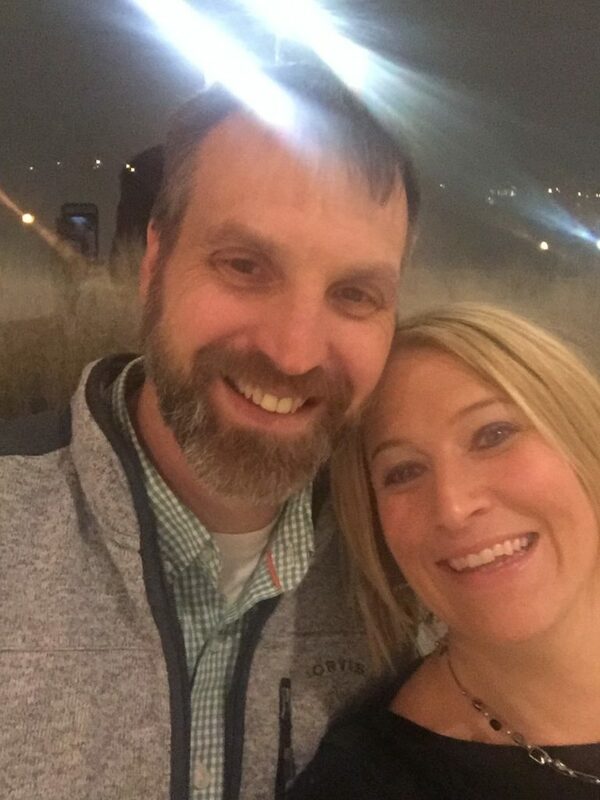 I’ve dated since then, collected a couple of graduate degrees, gone on some great Life adventures (moved to Arizona, then to Grand Cayman Island) and ultimately, returned home to Iowa. Still, I continued to question where I belong. It wasn’t until I returned to the Iowa City area in the Spring of 2017 that everything started to click; all the dots started to connect. So why do I share this with you now? Well, I started reading “Girl, Wash Your Face” by Rachel Hollis and because I adore her transparency, I decided to become more transparent. By doing so, perhaps you’ll see me with all of my flaws (yikes!) and decide to give Pilates a try. Get ready because here’s the big reveal: Pilates has changed my life. And I want it to change yours! What have I gained from my Pilates practice? 1. I decided to become a Pilates teacher at about the same time that I started to practice regularly. Very soon afterward, my father passed away and I almost quit the teaching program. My father thought it had been such a great idea to train and then, to teach Pilates in my retirement, but suddenly, I felt lost. I was grieving deeply. The teacher training program and obviously, regular Pilates practice, forced me to concentrate on something outside that grief. I embraced it as an attempt to work through that period of sorrow. 3. I am all of the following: Stronger. Centered. Calmer. Relaxed. Happier. Things just don’t rattle me anymore. 4. I reflect on a more regular basis. And I’m more forgiving of myself and others. 5. I sleep better! After a bath, a cup of chamomile tea, and some reading, it’s lights out. Literally and figuratively. I wake refreshed and eager for the new day. convince me to dye it again. This is who I am. 7. I am committed to being present… in my mind and body, to the practice and teaching of Pilates, and to my Life. 8. I feel younger! Yep. Not sure when that happened but age really is just a number. 9. I am more committed to the parts of my Life that I hold most dear: my family, my friends, my fur-babies. 10. I am contented with not being a Perfect 10. I am Jane. And I am Enough! Come try Pilates for yourself. Take my Beginner workshop. I promise results. I talked my friend Diana into taking a beginning class with me. I have had back problems for years and I was looking for a way to get stronger and relieve that pain. I had just finished up a round of physical therapy and knew I needed to continue with some type of exercise. (What I have found is that many of the movements we practice in Pilates, are the same or similar to what the physical therapist was teaching me to do.) 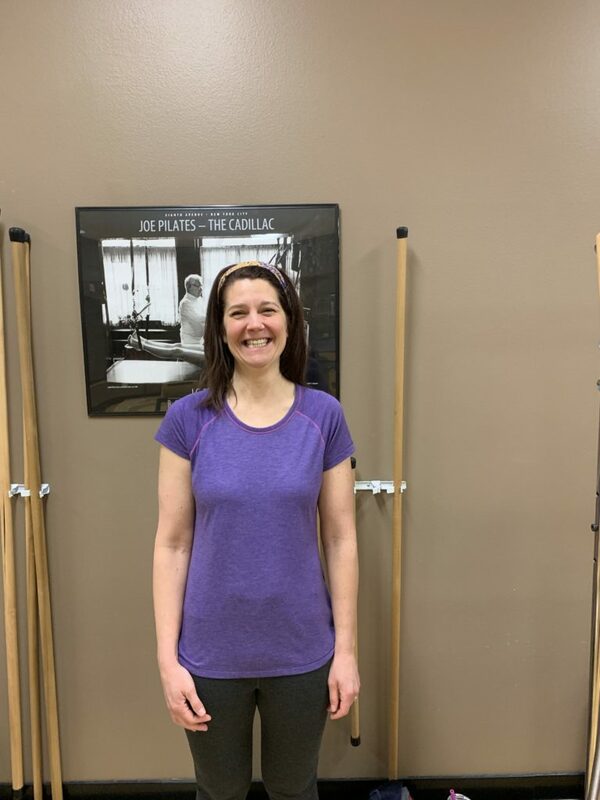 I was scared that I would not be able to do the Pilates exercises, but Carey was so helpful in teaching me how to modify the movements to protect my back that I was able to do everything! I try to attend classes twice a week. I mix it up between mat classes and the tower. I also do the stomach series most mornings at home. My back pain is so much better. Before Pilates, I would have to miss work and take muscle relaxers when my back went out. I have not called in sick to work, because of my back in a year. I am so much stronger. I love it! I really like doing roll down on the Tower, because the stretch is incredible. But, I am proudest of the fact that I can now do Teaser! It took a while, and it isn’t always pretty, but I can do it! Just do it. Take a beginning series class and don’t be afraid to tell the instructor about any issues you have in your body. If I can do it, you can too. What does it mean to flow when you are exercising??? Flow is one of those words that gets thrown around a lot when we talk about movement, but I often wonder if people really know what it means? What does it mean to be flowing in your movements and why would you even want to make that a goal during your movement practice and how would you go about it? Let’s start by talking about what exactly is “flow”? I consider flow being intentional about moving from one exercise to the next and not losing concentration, engagement and focus in the “in between time” between exercises. This can be as simple as continuing to breathe and knowing how you are going to transition from one exercise from the next. In my own mind I always think of my movement time like a well choreographed dance that doesn’t stop until the song is over or in the case of Pilates when the workout is over! For example let’s talk about transitioning from the Hundred exercise to your Roll up. When you first learn the Hundred you might just do the exercise then rest your body on the mat when you are done( this might look like collapsing your body to a comfortable position and possibly talking to your neighbor about how much you despise the hundred!!) and wait for the teacher to explain what you are doing next. After the initial learning phase of the exercise you can build strength and endurance by not “resting” after that exercise and heading right into the next exercise. After finishing the hundred exercise you might extend your legs on the mat and take 1 full breath where you set up your body to get ready to roll up. On the very next breath you would start moving in to the rolling up of the exercise. So Flow creates muscular endurance… What’s the benefit of muscular endurance? You wont get tired as easy! For instance have you ever been at a stadium where you’ve had to walk up what feels like a gazillion steps to get to your seat? When you muscles have more endurance you don’t have to rest as often during your walk up those stairs! 2. You’ll get double the benefits from the workout. Yep that’s right… by simply not taking an all out rest in between each exercise you will keep your muscles engaged and working and they will get stronger quicker and you’ll gain muscular endurance. ***Side note…What’s the benefit of muscular endurance? You won’t get tired as easy! For instance have you ever been at a stadium where you’ve had to walk up what feels like a gazillion steps to get to your seat? When you muscles have more endurance you don’t have to rest as often during your walk up those stairs! So how can you work on adding more flow into your movement practice? The easiest way in a group class setting is to make it your goal to be mindful of what you are doing in between exercises. Even if the teacher doesn’t specifically cue a transition or something particular to do you can still make a point of noticing what you do in the in between time and being purposeful about whatever it is you are doing! If you are practicing at home or by yourself you can practice flowing together 3 or 4 exercises at a time and see how that changes the movements for you. Ready to give it a try? We would love to know how it goes! Here’s a video we created specifically to practice your flow in your Pilates Mat work! Celebrate the first Friday of each month with some “you time” to strengthen and align your body and de-stress! 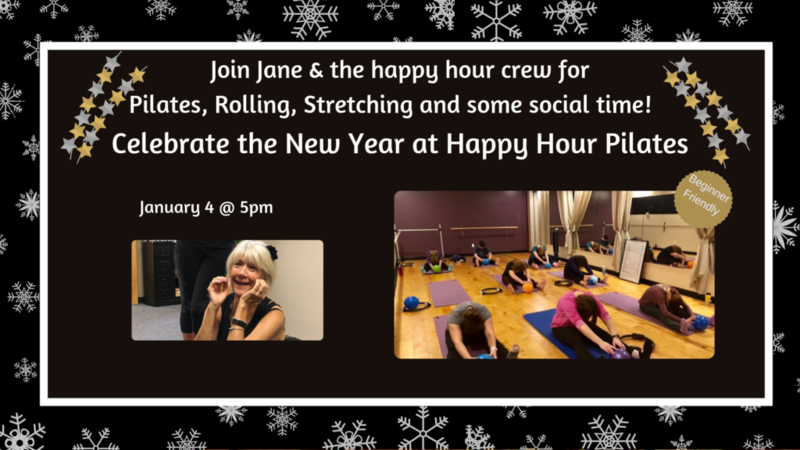 Jane’s Happy Hour Pilates class is an all levels Pilates Mat class (beginners welcome!) that will incorporate extra time at the end of class to relax and release tight muscles utilizing the foam roller and specialized therapy balls. “Happy Hour Pilates” is Friday, January 4th at 5pm! 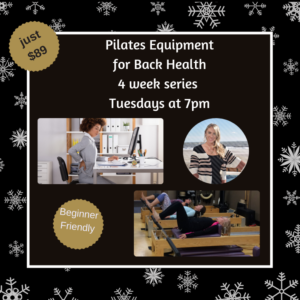 This beginner friendly Pilates equipment class will explore using a variety of pieces of the Pilates equipment to help you gain mobility in your back while increasing your core strength and getting a great whole body workout. Both beginners and more experienced students will enjoy this class! Space is limited to 5 participants so sign up early to reserve your spot! If you are brand new to the studio or Pilates we always recommend starting off with a complimentary private Pilates session before your first class! 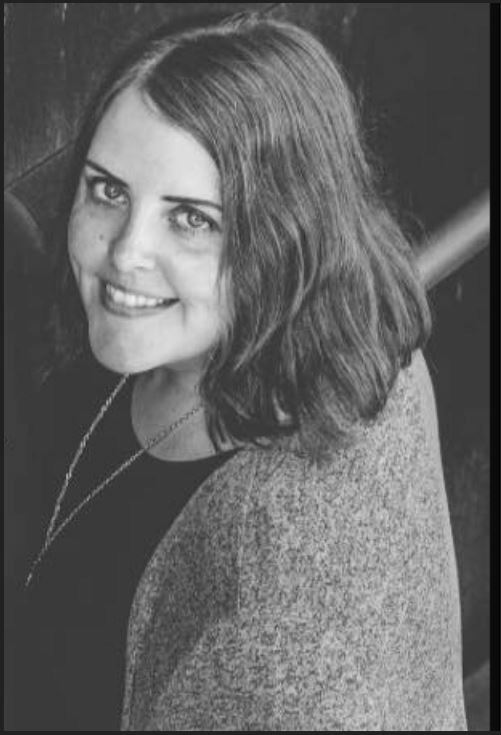 Tuesdays at 7 pm with Shaina Boylan. Purchase 4 classes for $89 or use any of our class card or membership options! Makeup classes are possible if you need to miss a week. Being riddled with back issues, knee issues, and a hip flexor injury that would leave me limping if I did anything strenuous, I found myself nearing the last half of the last year of my thirties with the worst back pain I’d ever had since my injury in 2002. Anytime I did an activity with my 6 year old I would find myself feeling wobbly and weak. I couldn’t sleep on my back without so much pain. I thought, “I have got to do something about this before I turn forty”. Everyone always gave me the same advice – strengthen your core and you’ll have less back problems. Strengthen your core and you’ll have more balance. Everything always comes back to the core. I realized I need to go somewhere, outside my home, to mix it up because I didn’t trust myself to stick with it if I did it at home. I decided I would take a small step forward and try doing yoga; something I had loved in the past. I searched for weekend Yoga classes and asked a local mom’s group for suggestions on Yoga studios that had classes on the weekend. One of the first comments was a recommendation for Rivercity Pilates who had “beginner classes that were fantastic”. I had not done Yoga in at least 15 years, so I figured a beginner class would be a great idea. I was out of shape and out of the loop, so I got on the website and was tunnel-visioned on yoga. Then a box popped up about Pilates and a complimentary session?? I like free stuff! I did some quick reading on the website to see what Pilates was all about and decided to give it a shot. I booked my complimentary session! I didn’t think I would be physically able to do any of the exercises. When I looked at the class schedule and recognized a few words based off the descriptions, I was a little worried. I couldn’t even sleep on my back…how was I supposed to do these exercises while I was on my back? A one on one session with a person I don’t know. I tend to get weird about stuff like that. I don’t like to be the main focus and I certainly didn’t want my shortcomings or my body shape to be the center of attention. I promised myself I was going to do something, so I decided I need to just see what would happen. Plus, it was free! I repeated this to myself for the full day before my complimentary session. I walked into the studio on July 29, 2018 to the friendliest greeting. I got a tour of the studio and then we had a conversation about my body, my past injuries, my concerns, and my thoughts. 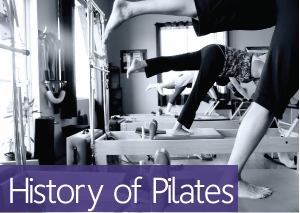 I received the history of the Pilates method and what it does to the body. I was immediately told that anyone could do it and that the studio was focused on Pilates being for every body. Every body is a different shape and size. Every body moves differently. Every body can do it, the body just may need a prop or modification. It doesn’t matter what the person next to you can or cannot do, you listen to your body and figure out what your body can do now and then you can try and push yourself to see what it might be capable of when you are ready. Pilates was meant for the long term, start small and build on it. The conversation I had with Kimberly was something I desperately needed to hear. I needed to hear that someone was confident that I could do Pilates and that I didn’t need to worry about how strong or weak I was or what kind of shape I was in (or what my body shape was). After we had our chat, I got to trial a few of the basic Pilates exercises on the Cadillac and I was given details on what each exercise was doing for my body. I was able to do each exercise I tried (yes!!) and I felt so exhilarated by that, that I wanted to do more! I was surprised by my own excitement. I purchased one of the beginner packages that had private sessions to start my journey, even though I had just spent over 24 hours fretting about one on one focus. It was completely out of my comfort zone, but it was the best decision I could have made looking back. I started with one Saturday class and one Sunday class a week. The Sunday classes were specifically for beginners and the Saturday class was an ‘all level’ class where the instructor would show different modifications for the exercises. There was a lot of great positive reinforcement with each instructor I had and that made me want to go more, learn more, and push myself more. After the first month, I started to pick up a few props from the studio so I could practice at home. I tried to focus on the exercises that were the hardest for me in class. I got on the Rivercity website and started watching videos and breaking them down to see if I could use that information to help myself get better at certain exercises. There were times I found myself getting a little frustrated that my body couldn’t do certain things and any time I brought that up with an instructor, the instructor would give me a tip or an exercise I could start practicing “to get me there”. After a couple of these interactions I started to give myself more leniency when practicing something new. I purchased and read Return to Life and found a lot of wonderful passages that made me realize that this is something you need to practice and work on for a lifetime, but that even in a short amount of time you’ll see progress. And you will feel better – physically and mentally. After three full months of doing classes at least twice a week and doing short 15-20 minutes sessions at home at least once a week (and doing the Core Challenge in October) – my back pain when sleeping diminished by about 95%. I still can’t believe it! I also realized I was able to pop up and down off the mat, I had lots of extra energy, and I was just happier! I am pretty positive that I have more flexibility now than I had in my teens, though I’d never been super flexible. I do have the confidence in my body to try more advanced exercises and to try and push myself a little more each time. I have more patience with my body now and I appreciate what it can do and how far it has come. I scheduled myself to do the Return to Life advanced class. It was a goal I set for myself around the 6 week mark of my journey. I really wanted to do Return to Life before I turned 40! I am also signed up for the Teacher Training Program for Mat Levels I – III. I am so excited to get involved with this program! My favorite exercise is the roll up because it feels so great after doing the hundred to roll up and down one vertebrae at a time while coordinating breathe with it. I also love working on all the pieces to the Boomerang. I hope to be a total pro at the Boomerang one day because it is a beautiful exercise to watch. My favorite props are pretty much all of the props. 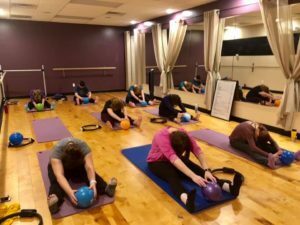 The band, the ball, the foam roller, the oov, the magic circle, the big balls – all add a little something to class and I like the fact that the instructors mix it up. My favorite equipment would probably be the Chair even though I have only used it twice. It was the piece of equipment used in one of my first private sessions. Multiple times throughout the session I thought (and possibly said aloud), “I don’t think I can do that, but I guess I’ll give it a try”. I was able to do all the exercises and felt really accomplished. What would I tell someone who is thinking of starting? I would say, if you have any fears or concerns, the Rivercity team will help you get past those. They believe that if you have a body, you can do Pilates. I would say, if you are feeling off balanced, if you are sore a lot, or if you have trouble getting up and down – you can still do Pilates. I would say, it doesn’t matter how old you are. I would say, mix it up. Try some mat classes and try some equipment classes. Go to the free Life Inspired events, even. I know I went in thinking that I would only like the equipment classes because I thought I would need the equipment to do the exercises. I found out quickly that my body was capable of more than I gave it credit for, but that I also needed to give my body “a break” when it wasn’t in the “advanced” position. I would say, get a beginner package with some private sessions or spend the money to do some private sessions. You will get to try so many different things in the private sessions with that one on one attention and you will always leave realizing that you are stronger than you think you are. I would say, watch some of the videos that Carey has posted on her site. Not just the exercise videos. My favorite video is one where Carey talks about someone telling her that she hadn’t tried a Barre class because someone told her she wasn’t strong enough. Carey called out “BS” on that because she truly believes that you are strong enough to try anything you want in her studio. I loved that raw video and her comments are something we all need to hear. This series is designed to introduce Yoga to those with limited or no experience. If you’re a beginner in Yoga or haven’t practiced in awhile start here! Over the course of 4 weeks , we will learn the basics of Yoga including breath work, postures and alignment and see how all of these combined will help you on your journey to more focus, balance, strength and flexibility. $49 for 4 week series or use any class card or membership series. 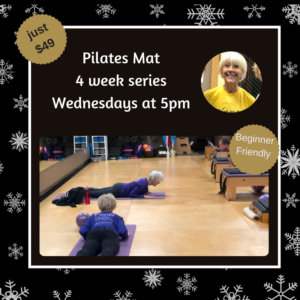 This 4 week Pilates Mat class series is designed for those who are brand new to Pilates and want to learn what it is all about and how they can use the Pilates method of exercise to feel better and move better in their body. This class will move slowly and purposefully. Participants will get detailed explanations of how to do each movement in a way that is safe for their body and in a way that makes it most effective for them! Expect to learn how to breathe better, how to engage your core muscles, and how to start thinking about movement and exercise in a whole new light! This weekly class held Wednesdays at 5pm will help you gain strength, flexibility and mobility in your body. 4 weeks for $49 or use any class card or membership option. 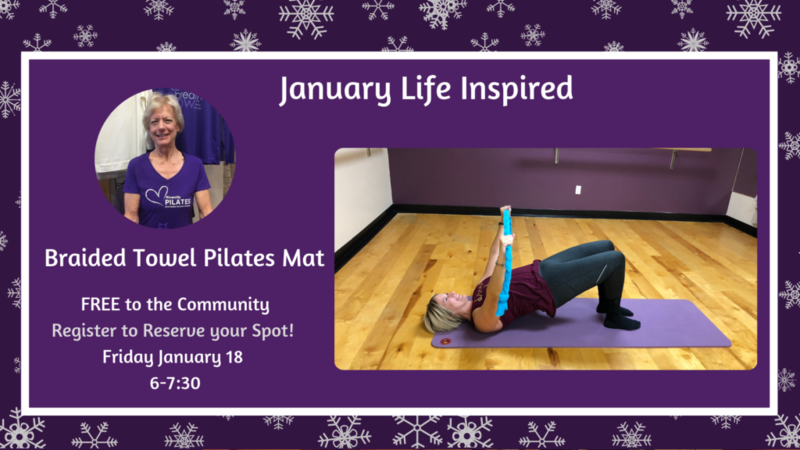 This month’s free Life Inspired Class will be a Braided Towel Pilates Mat Class taught by Shelley Oglesby. Shelley’s Braided Towel Mat class will incorporate the braided towel prop into a beginner friendly Pilates mat class. The braided towel was created by one of Joseph Pilates students Ron Fletcher as a way to enhance the Pilates work. The 3 foot braided towel can be used in a variety of ways to help clients activate the correct muscles so they can build uniform strength in their body. 1. Shoulder awareness: If you are like the rest of the world and tend to hold tension and tightness in your neck and shoulders, this class will change you! You’ll learn how to activate the muscles that need to be strengthened to create more balance in your shoulders and upper back and you’ll leave class feeling like you have more mobility and ease in your shoulders! 2. Support and connection: You’ll learn how to use the towel in ways that help the rest of your body move better! You’ll find yourself engaging your deep abdominal muscles more and being able to gain more movement in your spine with the support of the towel. 3. Variety is the spice of life...Changing up the exercises you normally do with this simple prop will challenge your body and mind in new ways giving you a fabulous whole body workout! Life Inspired is a free community class held every month. Class is free but space is limited so be sure to sign up to reserve a spot! Stay after class for wine and chocolate and other great snacks!! 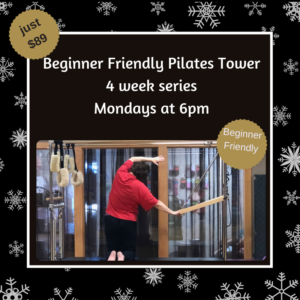 This beginner friendly Pilates equipment class will use the Pilates Tower to practice exercises designed to create mobility and strength in your body. The Pilates Tower system springs create a support system for your body so you can learn how to engage muscles properly and stay safe in your movements. You’ll leave your workout feeling an inch taller and amazing in your body! Mondays at 6 pm with Kimberly Burke. Purchase 4 classes for $89 or use any of our class card or membership options. New to Pilates? Does the Pilates equipment scare you a little because you don’t like not knowing what you are doing? Maybe you are nervous about feeling silly in class because you don’t know the exercises? Start here! 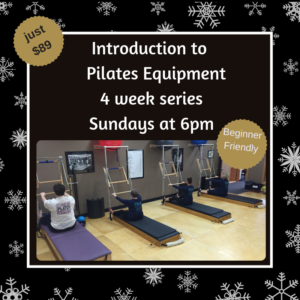 The Introduction to Pilates Equipment Class is designed for true beginners and those who are still getting comfortable with the Pilates equipment. It is safe for those with chronic back pain and those with knee and hip replacements. Classes will focus on learning the Pilates basic concepts and movements and will utilize the Pilates equipment to help you gain strength, flexibility and mobility in your entire body! You will get a great whole body strengthening workout and you are going to love the support of the equipment and be amazed at how it helps you see and feel results in your body! Space is limited to 5 participants so sign up early to reserve your spot! Purchase 4 classes for $89 or use any of our class card or membership options. Are you dealing with foot pain that just won’t go away? Maybe you are starting to get bunions, have chronic tightness, plantar fasciitis or even just chronic cramping in your feet and calves. Maybe you’ve tried a few solutions that just didn’t work and have decided just to deal with the pain and discomfort? The Healthy Feet Workshop is designed to equip you and empower you with knowledge and tools you can use to help your feet feel better. What happens in our feet and ankles effects everything else in our body. You’ll learn how you can use the Pilates principles and philosophies of creating uniform development in your body to make lasting changes. You will walk away being inspired and motivated to start adding simple movement tools into your life that will keep your feet healthy! 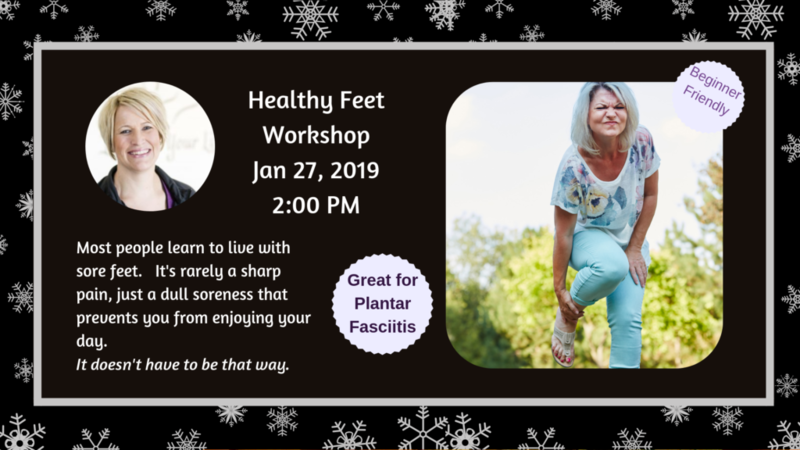 You don’t need to have foot pain to benefit from this workshop but if you have dealt with or are dealing with Plantar Fasciitis, bunions, hammer toes, heel pain or any foot discomfort you will especially love this workshop!! I was impressed by the workshop! 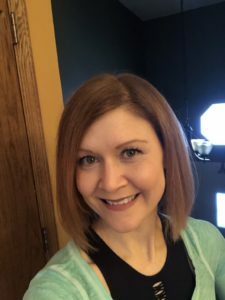 I have to admit, I was a little skeptical when my friend asked me to go…after seeing a podiatrist and physical therapist for the past year, I figured the workshop might be more of the same stretches & that I had previously been told. I am excited to try all the different things you taught us to do with the balls. Has it been awhile since you’ve worked out? Are you feeling uncomfortable in your body and ready to make some steps toward getting your health back? Does the thought of joining a gym or a group fitness class scare you? 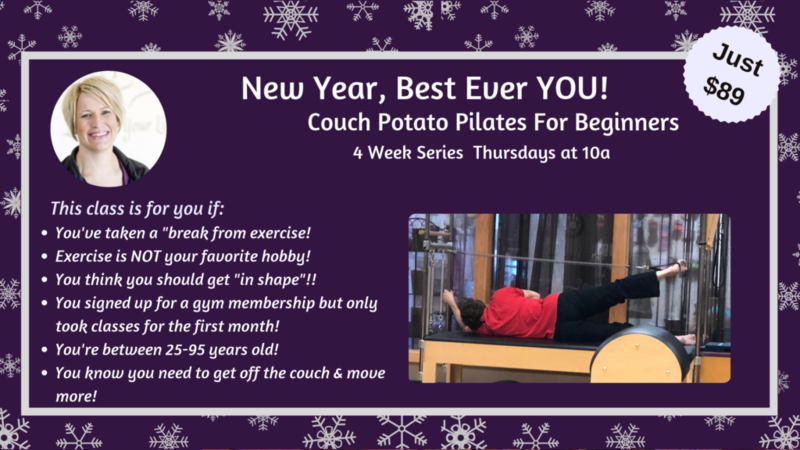 Our 4 week Couch Potato Pilates Series for Beginners is designed for you!! This 4 week series of classes will introduce you to the Pilates Method of exercise in a very un-intimidating small group atmosphere. Each class will only have 5 clients maximum per series and everyone will be starting fresh like you! Movements and exercises will be introduced with detailed explanations of what to do and why we do it and there will be lots of variations for every body type. There will be plenty of time for questions throughout the sessions. Clients will be introduced to basic Pilates movements and we will be using the Pilates Tower system to introduce movement ideas and concepts. The Pilates Tower equipment is designed to help Pilates instructors give clients a “support system” to move at their appropriate level so they can move safely and efficiently and continue to progress in their Pilates practice. There will be a weekly handout reviewing concepts we’ve learned and giving you some optional exercises you can work on at home. We suggest scheduling a complimentary private session with your instructor before starting the series so you can get introduced to the studio and learn more about the 4 week series! Click here to sign up for the 4 week session Thursdays at 10 am January 10th -January 31st.